Few people in the world envisioned that drones had any applications outside of military use. With drone technology improving by the day, we can expect more uses for drones that will change the world for the better. While drones have had a bad rep with hundreds of cases making it to the news, several drone enthusiasts are working to use drones in ways that bring about positive change in the world. They are not only making news, but they are a massive hit on online platforms and according to Amazon, the sale of drones has increased significantly. While commercial drones have shaped the drone culture we are familiar with today; there drones that are not available to the public for sale. 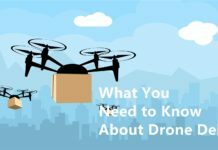 The top drone manufacturers of the current times that are DJI, Parrot, Yuneec, Walkera, among others continue to outdo each other. 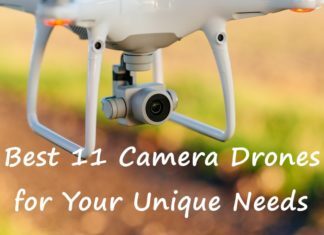 The result is that drones now have better cameras that can shoot 4K quality HD footage and high-resolution stills, as well as the ability to fly longer and with greater operational distances. With smart flight modes integrated into the drones, drone enthusiasts, especially photographers, and filmmakers, can give their audiences a new perspective on their work. Currently, drones have reduced the cost of film production, and this ensures that we do not have to wait too long for a movie to hit the cinemas. Drones have been used in journalism too, case in point, they were used to give viewers stunning views of athletes in the 2014 Winter Olympics in Sochi. Since then, they have been reliable in getting exclusive footage in hard to reach areas. This has been the case especially in part of the US, and Indonesia in 2018 where adverse weather displaced thousands of people from their homes and left them void of basic needs. Law enforcement and surveillance work can be risky, especially when you have to deal with dangerous insurgents or even wild animals. Currently, drones have taken over surveillance work, which is considered dull, yet life threatening. Police are also using drones to enforce the law by spying on insurgents, and they help them in working a strategy of neutralizing the threats while keeping the civilian hostages safe from harm. Drones equipped with 3D imaging technology when used accident, they can recreate the accidents and help to identify who was at fault. This has become essential in the settling of insurance claims. The need for speed is at an all-time high and drones are the latest machines that give speed freaks the adrenalin that they need. With technology such as FPV and geo-fencing, drone pilots can be able to mark the boundaries of the track and race each other for as long as the drones have enough juice in their batteries. 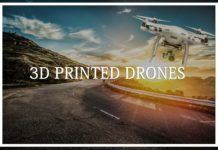 The above uses are nowhere near exhaustive since there are tons of ways drone enthusiasts are applying commercial drones in the world today. 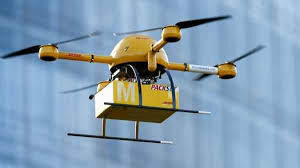 However, there are drones produced for special activities, and they have had a pronounced change in the world today. 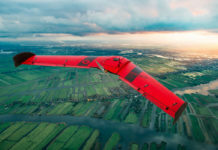 Here are the top ten ways that drones are changing the world today. The threat of global warming due to environmental change is real, and the effects are apparent for everyone to see. The US has experienced several hurricanes in 2018 alone, and by the time of publishing this post, Indonesia was currently reeling in the aftermath of an earthquake and a tsunami on the island of Sulaweshi. According to the authorities, there were over 800 lives lost with search and rescue teams trying to get hundreds of people buried in rubble. Drones that have thermal imaging technology could be useful in identifying survivors trapped in the rubble or places that a conventional vehicle will not reach. The use of these specialized drones ensures that the search and rescue operations go as quickly as possible and save more lives. One case to point out is the Australian Red Cross society that has partnered with Land Rover to build a specialized utility vehicle that will launch a search and rescue drone equipped with smart batteries for longer flights and infrared cameras that can detect the heat signatures of the people lost in the woods or trapped under rubble. When natural disasters strike, drones can deliver life-sustaining supplies to the affected people. This includes food, blankets, medicines, and first aid kits. This can give hope to the victims that help is on the way. Over and above this, surveillance drones can assist in preventing natural disasters such as wildfires. For such instances, disaster management teams are using drones to identify areas where there are abnormal temperatures, which indicate that there are fires. In three minutes, the fire can be out when the different teams work together. With increasing middle class who are looking for exotic ornaments and designer clothes, entrepreneurs are doing everything in their power to meet the demand. This has led to widespread poaching in many parts of the world. Rhinos and elephants are now part of the endangered species since poachers are killing them for their horns and tusks. Foxes, wolves, Serbian tigers, and other animals being hunted in large number for their fur to make designer coats and other items of clothing. Governments and other organizations have raised the alarm over the poaching and excessive hunting, and there is fear of losing them forever. Drones have presented a way to conserve wild animals in parks and their natural habitat. Rangers and ecosystem scientists are spying on endangered species from the skies. They gather data on their way of living, and they can ensure that they are safe. In the case of poaching attacks, drones can be used to hunt for the poachers, since they are silent and can fly for longer. Global warming has adversely affected food production processes, and farmers have to take out huge loans to meet the high cost of production. The rise in production costs means that consumers will have to pay more for their food, but this puts many at a disadvantage since we are working longer for less money. With the introduction of drones in food production, farmers can reduce the cost of production, and consumers will be able to afford the food in the stores. Precision agriculture uses drones to ensure that they maximize their yields. Drones can be used right from planting, disease and pest control, among other areas of food production. The drones are especially useful in big farms experiencing substantial labor costs and reduced output. Raptor Maps, which is one of the leading agricultural analytics organizations, they help farmers forecast their harvest by using drones as part of their operations. Climate change has brought about unusual weather patterns, and this could spell disaster for farmers, sailors, and the public. However, meteorological departments across the world are using drones to get data that will help in forecasting the weather. Lack of funds has led to the death of more than 800 people in Indonesia, where a 7.4 magnitude earthquake struck, resulting in tsunami waves as big as six meters high. Before the disaster struck, Indonesian and U.S institutions were working on a system that would have averted such a tragedy. The reason why we remain blind to such weather is that meteorological data today is collected by stationary equipment or geospatial imagery. 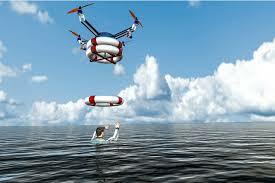 Drones on the other could offer a better solution by following weather patterns as they develop. The result of using drones could help disaster management teams evacuate areas where tsunamis and hurricanes could hit and cause havoc. Plastics while they are easy and convenient, they are slowly choking the life out of the Mother Earth. Environmental reports suggest that a single-use plastic bag could take close to 1000 years to break down. The reality is that most of the trash we throw away ends up in the water bodies and it endangers marine life. However, new technologies are producing biodegradable products, and recycling plants are repurposing used waste into products we can use. Drones are now playing a crucial part in waste management. For example, RanMarine is an organization that operates a marine drone that collects waste on the water around harbors and ports. Wastewater is also a menace in the environment, and RedZone Robotics is working on wastewater management. For hundreds of years, oil has remained the most reliable source of energy for transportation and manufacturing. The process of extracting oil from the underground oil wells is expensive, and it requires personnel with specialized skills. In spite of this, many things could go wrong and lead to the loss of lives and billions of dollars’ worth of investment. 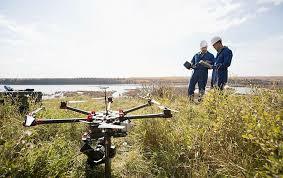 Rig personnel can use drones to inspect the various parts of the rig to ensure that it is working optimally. 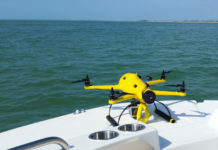 Drones such as DJI Mavic Air, Inspire 2, or the SwellPro range of water drones, have high-quality cameras that can give the personnel the leeway to work without compromising on their safety. Before an insurer can offer homeowners insurance, inspections are part of the requirements, and tech-savvy insurance companies are using technology to ease the job of the inspectors. In the past, the inspectors would have to conduct the inspection manually which was not only time intensive, but dangerous. 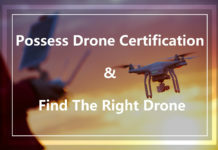 However, drones can give an equal or a better-detailed report for the insurance company with the use of high-resolution cameras and specialized cameras. 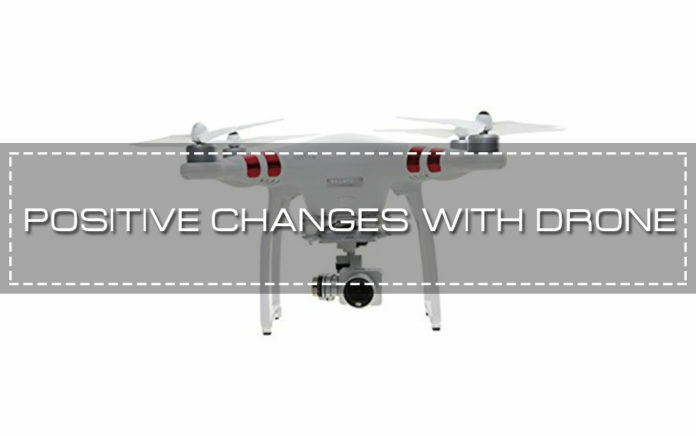 After viewing the drone footage, an inspector can make a physical inspection if need be, especially on damaged and property. Several drone startups are providing insurance companies with the better ways of collecting data, and this ensures that buyers get the proper insurance cover. The application is not limited to property insurance; farmers are also finding the use of drones useful when they are making claims for claims settling. Despite the high connectivity rates in the world today, more people are still making the rural-urban move in search of better opportunities. This presents a problem since there is hardly enough housing to shelter the scores of people. This is one of the reas0onbs why we have seen the emergence of slums in a matter of months, and they are plagued by health issues, crime, among others circumstances. Urban areas today need to understand how their people work, travel, and spend their time to serve them better. Drones have helped urban planners understand their cities and towns better and so; they can make intelligent improvements. Drones are also a cheaper way to gather data since many municipalities are cash-strapped; thus, they can get detailed data while employing low-cost measures. Many areas of the world remain inaccessible with the typical means of transport. This makes the work of medical personnel essentially hard since medical supplies take too long to arrive. Good health and well-being is part of the Sustainable Development Goals that the UN-DP wants to achieve by 2030, and drones could play a huge role. One startup company based in California, ZipLine, is making drones for delivering medical supplies. The startup is already working with the Rwandese government to supply hospitals in far-flung areas with the necessary medical supplies. The company is awaiting FAA approval to start operating in the US, and they envision that they will begin with rural Nevada and the islands off the coast of Washington and Maryland. This is only a partial list of ways that drones are changing the world for the better. 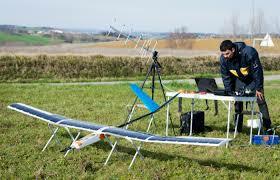 Most of these applications are possible with recreational drones in the right hands. While drone technology is still in its infancy stages, we can expect other positive ways of drones changing the world. Do you have other ways that drones are changing the world positively; share your views in the comment section below. This way, we will have more people picking up drones to further the good works already being done.